The first time I took a really long road trip with a toddler I was 9 months pregnant with my second and moving across the country. I basically let her watch as many movies as she wanted because I didn't have the mental space to think of other activities nor the physical agility to turn and help her out in the back seat. Now that I'm a mom of three, and I have taken countless road trips ranging from 1 hour to 20 hours with my little ones, I am determined not to get out of the car ready to pull my hair out or have my kids be movie zombies. After doing tons of research, I decided to create road trip binders for my kids! They love filling out activity books and workbooks of any kind. My oldest also just started to read and is eager to show off her new skill, so she's perfectly willing to help out her younger brother. 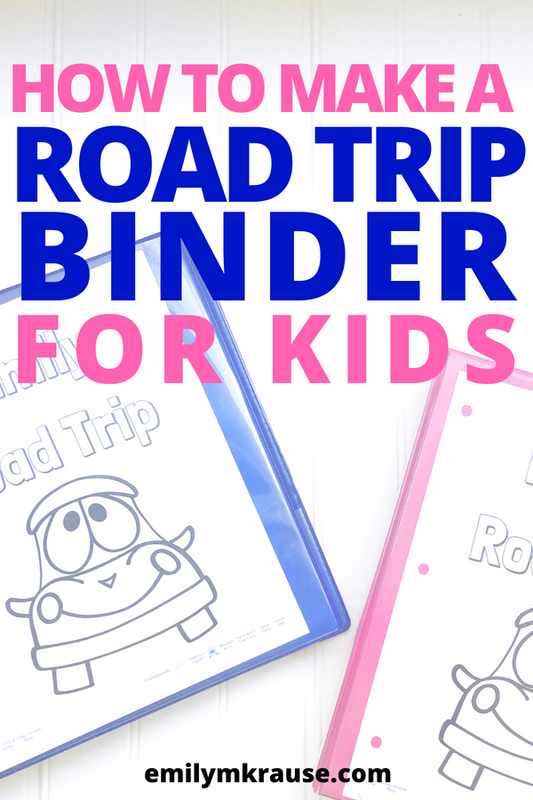 I made my binders specific to 2-6-year-olds taking a family road trip with their family. They don't have to be able to read to complete a lot of the activities, though they may need a little guidance from parents. If you've got a long road trip coming up and want something for your kids to do other than screen time (no judgment...we still resort to that sometimes), here's a quick step-by-step process for creating the road trip binders. I like to include a map of the United States. There are so many variations of this depending on the age and skill level of your child. You can literally just print the Google Maps or Mapquest route you're taking so they can trace along with you. You can print a blank geographical map of the U.S. and draw a line with your route. You can just have them use it as a coloring page, or tell them to color in each state as you drive through it. We've been having my daughter color in each state as we drive through it (so we alert her when we cross the state line) and then she looks up the new state in her fact book. We talk about the capital city, what the state is known for, and other fun facts. You could easily read this part aloud to your kids if they're not reading yet. A scavenger hunt of items they'll see along the way is a great way to engage kids of all ages. Keep it simple for little ones with pictures of cows, cars, and street signs. It can be more complex for older kids with specific license plates or types of buildings. I have already put a scavenger hunt together and have printed it out so many time for my kids to fill out. 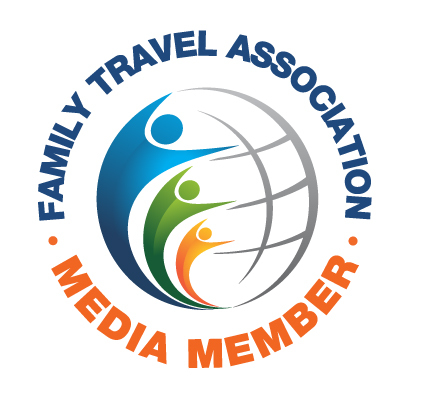 It's a free gift for those who join my family travel email list, so feel free to sign up here to get it! To balance out the excessive amount of movies or shows they watch, I like to put in some worksheets to make them use their brain. For preschool or kindergarten-aged kids that means counting, alphabet, and letter tracing. You can find your own worksheets at education.com, or I have created some road trip-specific worksheets for kids! This is something easy that kids of almost any age can understand. It's fun for them to look out the window and fill out the picture of what kind of weather they see. Depending on how far you're driving, you might come across 3 or 4 different types of weather! The last page of the packet I put together is a journal page detailing the day of the week, the weather that day, where we are driving to, and what we are planning to do when we get there. I made several copies of just that page since we have several legs to our road trip. It's fun for the kids to look back on the details of the trip, and keeps them involved and excited even when they're sick of the car. If you find a thin activity book or coloring book to slip into the inside pockets of the binder, that might be a nice addition if you have an especially long trip. We like these activity books, and the Color Wonder books and markers since they don't make a mess. So that's it! Road trip binders are pretty simple and straightforward to make. You just need to make sure to find worksheets that are suited to your child's age and abilities, and it also helps if they are related to travel or driving. Again, you can check out mine here, or you can put together your own! Yes, travel with kids is a lot of work, but it doesn't have to be torture! I truly believe that getting the kids involved in the planning and letting them know where you're going and what you'll be doing helps them to feel like they have more control over the situation. If you're road tripping some time soon, best of luck, and enjoy the journey.